Hemp and cannabis are closely related, but hemp oil comes from plants that are bred to have no, or extremely low, levels of THC. This means that you can give hemp oil to a pet and the pet will get the medicinal benefits of the oil, but won’t end up getting high. Hemp oil can help to reduce inflammation and reduce nerve-related pain as well. It’s a great option for people and animals that are suffering from chronic pain. Cannabis advocates love to repeat the message that marijuana has cancer-fighting properties, and there is actually some scientific basis to that message. Phytocannabinoid rich hemp oil has been found to stop the development of cancer cells. It isn’t a guaranteed cure or even a sure thing that using hemp oil will prevent cancer, but it’s a nice side benefit. 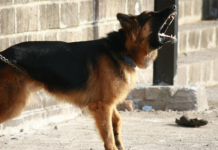 Dogs are a lot like humans in that they have emotions and they can get anxious when exposed to loud noises or unfamiliar environments. Hemp oil has a soothing effect for both humans and for animals. It can help them to feel less anxious and improve their ability to sleep and rest. The GLA in hemp oil can help to reduce the symptoms of atopic dermatitis and help to keep moisture in the skin. This means that your dog with has suppler skin and that their coat will look healthier and smoother too. 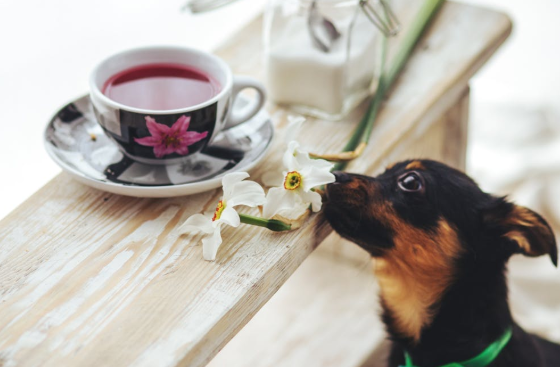 Dogs can make GLA from linoleic acid, but even a healthy dog could be at risk of a deficiency depending on their diet, and hemp oil is a simple and efficient way of supplementing it. GLA isn’t just useful for treating skin issues. It can be a great fat burner and energy booster too. Supplementing GLA can increase the levels of serotonin in the body. Serotonin is a mood booster, and it also works to tell the brain that you (or your dog) is full, reducing appetite and quelling cravings. If you want to keep your dog lean and healthy, then supplementing CBD oil could be the way to do it. 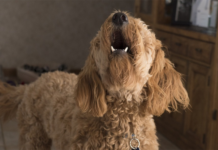 In addition to helping to regulate the appetite in dogs that want to overeat, hemp oil can also regulate the appetite in dogs that are not eating enough. Older dogs often lose their appetite, and it can be distressing to watch them get skinnier and skinnier. 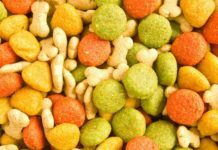 Often, those dogs are feeling a little nauseous, but eating is important for health. A dog that is under-nourished is likely to fall victim to more illnesses. Hemp oil can reduce that nausea and boost their appetite up to more normal levels, which means that they’ll have a stronger immune system and stay healthy for longer. As dogs get older, their cells may start to die off more quickly than they can be replaced. Cell death is a serious issue in humans and dogs, and it can lead to Parkinson’s disease, Alzheimer’s and other conditions. Cell death is caused, in part, by toxins and free radicals in the body. Free radicals are oxygen atoms that become split into single atoms, with unpaired electrons. The electrons damage proteins, our cells, and DNA. We can’t deprive ourselves of oxygen, because we need it to stay alive. Using antioxidants can protect the cells from the damage from free radicals, though. Vitamins C and E are two examples of well-known and hugely beneficial free radicals. Hemp oil has been found to be even more effective than those two nutrients. Hemp oils can help to fight against inflammation in a number of areas of the body, including the digestive system. 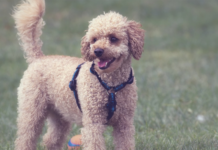 It can reduce the inflammation associated with IBD, and it can also fight off the bad gut flora, and restore the balance of healthy gut flora in pets that are already suffering from digestive conditions. It’s a mild, effective option that is far less likely to cause gastric distress than antibiotics. Hemp oil has been found to be useful for lowering blood pressure and even reducing rapid heart rates in dogs and in humans. That’s not to say that if you are worried your dog has a heart condition you should go straight to using hemp oil. There are some conditions that need urgent treatment from a veterinarian. However, if you have a dog that is generally healthy and you want it to stay that way, or you have an older dog that you want to give a bit of a boost, then hemp oil is a great option and it is something that you can use as an addition to whatever treatment your vet has recommended for your beloved pet. Hemp oil can be a useful immune booster, that helps your immune system to identify and fight the right nasties while bringing down inflammation and avoiding incorrect responses. Inflammation sometimes occurs when your immune system targets the wrong things. Hemp oil decreases the production of inflammatory cytokines. 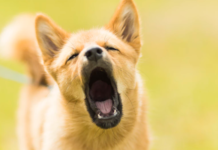 Next articleWhat is Hemp Oil for Dogs? Benefits, Brands, and More!